Warning: The following article contains plot spoilers. Reader discretion advised. 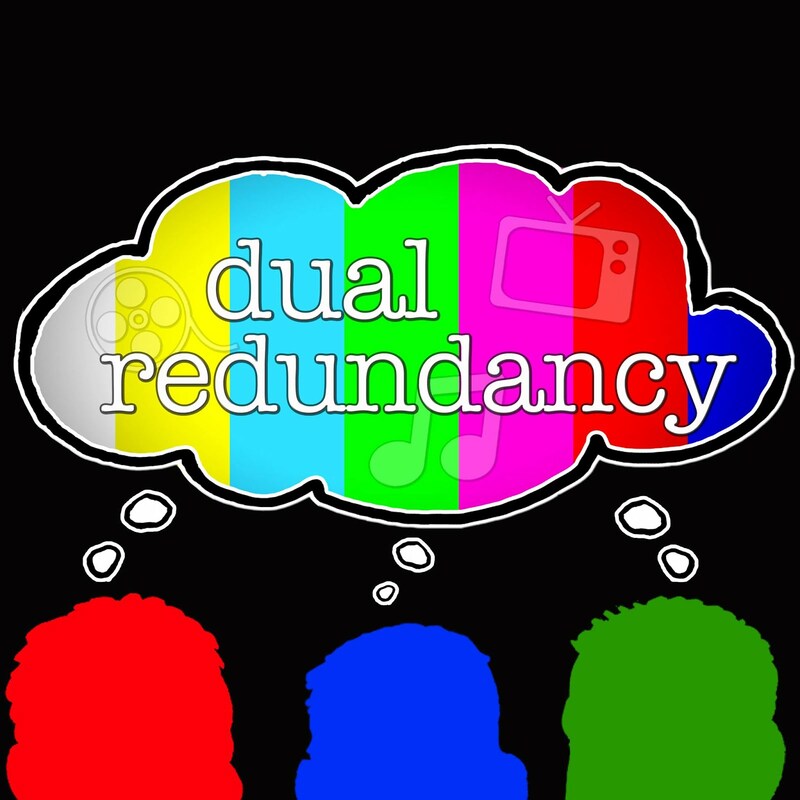 Welcome to our first Dual Redundant Movie Review, in which we will both share our opinions on a movie we've both seen and each give the grade we feel it deserves. 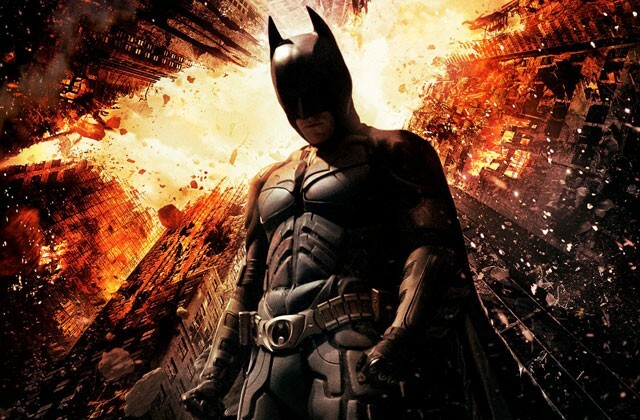 Today we tackle the epic conclusion to Christopher Nolan's Batman trilogy, The Dark Knight Rises. Mike: I'd like to start by acknowledging the devastating shootings at the movie theater in Aurora, CO by James Holmes, a man who will likely live in infamy, as he surely planned upon. I expect many, many people to see these horrific events as a sign to stay away from the theater, which, having seen the film, I absolutely discourage. This man who apparently claimed he was Batman's enemy The Joker has created a situation where one of the central themes of the film has been realized: people are living in fear, and only by confronting those fears do they become strong. Don't let the actions of a mad man keep you away from enjoying yourself and living your own life. Our thoughts and prayers are with the victims and their families, and I hope Holmes is brought to swift justice. Now, onto the film, which to me felt more like a sequel to Batman Begins than the end cap to a trilogy. To me, Begins and the second film, The Dark Knight, had very different "feels". Perhaps this came about in editing, when everyone involved realized how special the movie became thanks to the late, great Heath Ledger's performance as The Joker. Or the producers decided not to touch on The Dark Knight's memory at all in respect for Ledger and the character. Whatever the reason, the movie relied too heavily on aspects of Batman Begins, the weakest film in the trilogy, and not enough on the superior second film. Dave: I agree Mike. While I think it was a good decision to not recast The Joker or try to make up some reason why he didn't escape with the rest of the prisoners or from whatever prison he was at I am not sure not mentioning him 100% was good. Batman learned a lot because of The Joker and what he did and to just let the audience forget these lessons especially in the last film doesn't work for me. It did however focus on Harvey Dent from the second film which can be said was The Joker's creation thus making him unnecessary to come back. The Joker was what turned Dent and thus created the reason why Bruce Wayne has become what he was at the beginning of this film. However even though it did focus on the first film, I liked continuing on to that since it was absent from the second. Ra's al Ghul and the League of Shadows; the things that started it all for Wayne also were associated with how it was all going to end for him as Batman. Also I love the idea of the whole reason of falling down is to rise back up coming back, which was a huge point of the first film as his father constantly reminded him. Not to mention the idea of reconquering his fear that he first experienced in the well and then later having to do the same thing in the prison was perfect. Mike: I think the film tried too hard to be an important movie of the times, tackling issues in politics, economics and philosophy that are currently resonating throughout the world with too much seriousness. In doing so, I think it became just another larger-than-life superhero movie trying to be too preachy about the messages, whereas The Dark Knight focused more on the personal struggle between Batman and Joker and, in my opinion, achieved film greatness. Dave: While I can see where you are coming from on that I loved how they tried to tackle the current problems in the world. Film can be a very powerful medium to incite change in the world. Whether it is people paying attention to global warming from An Inconvenient Truth or even trying to expose the homophobia and racism in our country while making us laugh in Borat, film can really change the world. However as for the whole superhero saving the world from a bomb thing. I wish this could have been done differently and there was another reason or way Batman had to save Gotham than another explosive device in another action movie. Mike: Part of the reason I feel this film was lacking was the absence of many integral cast members from the last film. Without Ledger, Eckhart or Gyllenhaal, Nolan had to create new characters in Bane (Tom Hardy), Tate (Marion Cotillard) and Selina (Anne Hathaway). Did they fill the shoes? Not quite, but overall they did a good job. As for the characters that did return in this film, many of them had reduced roles. Alfred was absent for much of the film after the first half hour. Gordon was in a hospital bed, out of commission. Even Bale's Bruce Wayne was either hobbling on a cane, back-broken or trapped in a bit. The amount of action these integral characters got was a bit of a let down until the film's climax. The silver lining to their decreased roles was the increased one of Joseph Gordon Levitt, who played a young cop named Blake who came from a similar background as Batman and wisely caught on to the caped crusader's alias. Levitt has grown substantially as an actor and really carried a lot of the emotion in the film without becoming cheesy or over-the-top. When he threw away his badge after losing faith in the police department, I felt his pain. Dave: This reminded me somewhat of Spider-Man 3 in the fact that there was too much trying to be shoved into this movie. While Nolan was stuck with characters dead or imprisoned these new characters had to be created, introduced, and somehow reach an ending. Cotillard played another good character turned out to be evil or villainous similar to the crazed character she played in Inception. As for Hathaway I hated her in the beginning and the whole idea of Catwoman but as the film progressed I was right with her (or at least I wish I was right with her on that bike if you catch my drift). However I believe acting wise each character with what they were given excelled. The moment Alfred quits and tells Bruce the truth about Rachel was very heartfelt. There was even moments I felt bad for Bane occurring in the flashbacks as he tried to protect a young Tate at the prison. Finally Christian Bale is simply the man. Unlike other actors that I usually see through as themselves, with every film Bale is in, whether it is American Psycho or The Fighter, he becomes that character. There is a reason this guy won an Oscar! Mike: A lot of pressure was put upon Tom Hardy's broad shoulders, and I don't feel the character of Bane worked 100%. The voice, which apparently was fixed from its original version to be easier to understand, was distracting and unrealistic. I think Nolan wanted to create an iconic sounding voice, a la Darth Vader, that people could mimic. This wasn't it. As a villain, Bane was pure force, a different approach from the Joker but, again, hard to compare positively. It's like if Kanye West performed a full set, then Drake came out and did a few songs. While Drake is a good rapper/performer, nobody could follow Kanye. Dave: During Bane's first scene I was put off by the voice which I am sure was fixed from what Nolan originally wanted. However it did grow on me. It would be interesting to hear the original voice to see if that changes anything. You knew going into it nothing, not even a very powerful Bane, could hold a candle to Heath's Joker but he did a good job trying. Props do have to go to Tom Hardy who really had just his eyes to portray the evil guy that Bane is. Mike: My expectations were low for Anne Hathaway but I think she did a great job, especially whipping her legs around as much as she did. Marion Cotillard, on the other hand, did not give a great performance and really distracted from the final act of the movie, though Nolan's expositional over-writing of Tate's big monologue could be partly to blame. As for the end of the movie, I wish Batman had died, but I knew he wouldn't. The reason I knew this was because of Alfred's little speech about hoping to see Bruce in Florence and knowing he was happy and okay. This was exactly the device used in one of my favorite movies of all time, Good Will Hunting, when ben Affleck's character told Matt Damon's something similar. And in both cases, at the end of the film, what the character said ended up happening. Dave: I knew you were going to bring up that reference! Months leading up to this movie I kept saying I wanted Batman to die one because of the tone of the trilogy and two because it is Christopher Nolan try rebooting this or adding a sequel now to my masterpiece. However during the movie and the final scene I changed my mind slightly. I wanted Batman, the persona that Wayne used, to die but Bruce Wayne to survive and thankfully that is exactly what happened. Mike: That Bruce/Batman dichotomy is important, and I agree with you, that worked. Lastly, the whole "Robin" reveal with JGL's character was not a problem for me, because JGL sold me on how great he was. If they were to make a movie about Robin starring JGL, I would go to the midnight show. I'm not saying I want them to, but I believe he's proven himself as an adept actor who could fill those tights, or whatever the hell Robin wears. Dave: While the reveal was not a problem to me I did not like how they showed him becoming the next Bruce Wayne and finding the bat cave. To me this opens up possible doors for a sequel which unless Nolan is attached I would not like to see. Not to mention while it was a cool shot of JGL rising on the platform I would have been much happier if stayed on Bale giving that nod to Alfred as Bruce Wayne. The story started with him a scared boy and should have ended with him as a man confident about the future, whatever that may be. But overall thank god they did not give Robin a costume or they would have really jumped the bat. Mike: "Jump the bat", I love that! Overall, I thought the stakes were too ridiculously high with the nuclear bomb to really believe Gotham was in any danger. It's like the Community Glee Club episode- Britta mentions how low the stakes are for regionals, but somehow, that made it all the scarier. I truly thought one of the boats in The Dark Knight would blow up, because that was just a boat full of people. But the entire city the series is based upon being destroyed? I didn't buy it, and all of my interest hinged on whether Batman would live or die, where, again, I was disappointed. Dave: As I said above I do agree about the high stakes but I do have to hand it to Nolan. While Toy Story and Back to the Future may already be my favorite trilogies, Nolan took a subject and characters portrayed in a variety of ways for decades (including sometimes as unintentional humorous) and created a very believable world where a man who dresses up as a bat and saves the city from a man with a bag over his head, an insane clown, and a large man with an oxygen tank. I applaud Nolan for creating a complete trilogy that was not only a box office hit but a critic and crowd pleaser as well. Good luck to the next director that tries to take on this franchise which I am sure will be rebooted within the next five years because believe me they are going to need it.